Open to all amateur radio operations who have a current Santa Clara County Disaster Service Worker registration. Individuals who do not have a current DSW registration with Santa Clara County ARES/RACES are encouraged to register prior to the drill. Any of the county staff can register you. If you are unable to register prior to the drill, you can register when you arrive at the drill. Registering for DSW during check-in may delay your check-in by as much as 30 minutes, so plan accordingly. Purpose A county-wide communications exercise designed to practice mobilization, deployment and demobilization of amateur radio operations. The activities are varied and have been designed to provide fun and education while, at the same time, developing experience with operating according to the standard procedures required for emergency operations. Sign-Up To participate in this drill, you must sign-up in advance. To sign-up, use the Training and Event Database. The park has restroom facilities and a drinking fountain. Weather The weather is anticipated to sunny and approximately 80-85 degrees F. The park offers lots of shade, but be sure to bring sun protection. We hope to complete all activities by approximate 14:00. Forms Be sure to start your ICS-214 Unit Activity Log prior to leaving your home. A list of the ICS forms required for your go kit can be found on the Operations page of this web site: Operations > Forms and Signs > ICS Forms used in Communications > ICS Forms you should have in your Go Kit. Follow standard Resource Net procedures. When you arrive, be prepared to copy the staging net frequency. Program all three repeaters into your radio memory so you can easily switch between them while driving. 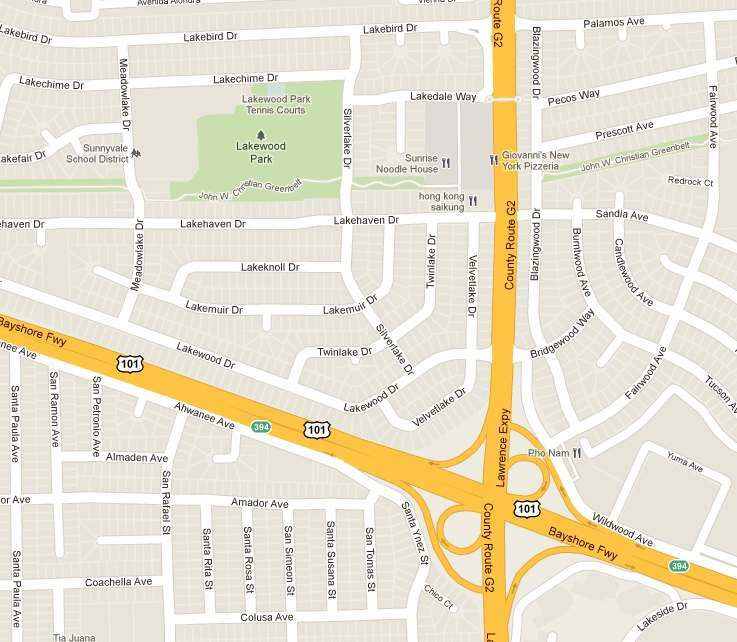 If you are coming from the southern end of the county, you will need to switch from N6NAC to AA6BT approximately when you reach the 85 and 101 intersection in South San Jose. If you are coming from the northern end of the county, you can probably stay on W6ASH the whole way. Remember that linked repeaters require you to insert extra delay. Leave plenty of space before keying up. Pause after keying up, before speaking. Prior to departure from home: Check into the resource net. When called, tell net control your starting mileage (last three digits of your odometere) and your street location. (Your odometer does not have a decimal point. If you see a decimal point, you're looking at your trip odometer. We don't use that because it can be reset. Switch to your odometer and provide the last three digits to net control). Upon arrival at the drill: Stay in your vehicle and contact net control. You will be told to switch to the staging net and the frequency will be provided. Do not exit your vehicle until you have successfully checked into the staging net. If you are unable to reach the staging net, return to the resource net and inform net control. If you do not yet have a current county DSW registration, net control will not be able to officially activate you and you will not be covered under the DSW program until you reach the drill site and complete your DSW registration. However, you must still check into the resource net so net control can track to you to the event. Parking Parking is available in the parking lot at the NorthWest corner of the park, as well as on the streets surrounding the park. Be sure to follow the resource net control's direction to check in with the staging net before exiting your vehicle. Net Usage Everyone is required to be on the proper net at the proper time. The Resource Net is used for travel to and from the event. The Staging Net is used whenever you are not on an assignment. Assignments may involve other nets. Primary staff members will be on the command net. Be sure you always check-in and check-out properly when moving from one net to the other. Always pay attention to the net control operator of whichever net you are on and answer promptly when called. Training Info Additional information on the disaster server worker program, resource net procedures and net types and usage can be found in the Fundamentals of Emergency Communications training course materials. If you have not taken this course, you are advised to review the course presentation prior to the drill. Participants do not need to bring the entire 12 hour go kit. However, ALL participants should bring the following items with them, on their person. You may find that a small backpack, knapsack or shoulder bag will be helpful. MACs and MITs participating in MAC evaluations will have other equipment requirements, depending on the qualification level of the evaluation. Check-In After checking into the Staging Net from your vehicle, walk to the Staging Area to complete the check-in procedure. 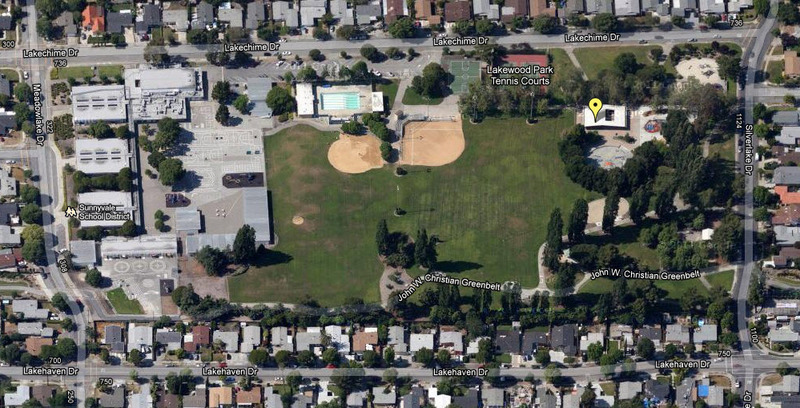 Staging is located in the main park building (see above map). Field operations: walk to various stations located throughout the park; try out the various activities and technologies at each station; report your results to net control. The activities currently scheduled for the field operations assignment are: radio direction finding, cross-band repeating, HF operations, and field packet operations. F2 Eval: separate from the above field operations (a separate sign-up list is being created). Each activity will take approximately 2 hours. Attendees can participate in up to two assignments as long as they arrive at staging prior to 09:30. All sign-ups should be done on-line, as far in advance of the event as possible, so the event staff can plan for the right number of attendees. Some activities require minimum qualifications. For example, Net Control and Packet assignments require the participant to be at least an MIT. Mutual Aid Communicators (MACs) and MACs in Training (MITs) can request evaluations for the following MAC program qualifications: F1, F2, N1, N2, P1, P2. We will not perform whole go-kit equipment evaluations. Note for F2 evaluees: The field operations activity involve portable operation, walking around the park to various activity stations. The F2 evaluation will be conducted in the parking lot. The evaluation requires setting up a station, antenna and other gear, which is not portable. Therefore, the F2 evaluation will be separate from the above field operation activity. MACs who request an F2 evaluation *and* wish to participate in the various field activities should sign up for both activities. Lunch There is no specific time defined for a lunch break. The drill will run continuously. But attendees can stop and take their lunch break in between assignments or whenever it is convenient. Check-Out After you have completed each assignment, return to the Staging Area for re-assignment or check-out. Be sure to fill out an evaluation form so we can capture your feedback. Travel Home Check in to the Resource Net from your car, prior to leaving the park. If you prefer not to be tracked back home, notify net control when you check in. Alternatively, you can check out of the resource net at any time on your way home if you decide to go somewhere else.